As some of you know, my husband works from home. There are pros (he’s there to help me bring in the groceries and I have the freedom to run quick errands while the girls nap) and cons (he’s home for three meals a day and I need to keep the kids at a decent decibel level throughout the day), but overall I do enjoy having him home. One of my favorite pro’s is that he’s always willing to whip me up a smoothie for lunch whenever needed…or um, wanted ;) He has a knack for playing with recipes and adapting them to our taste. I often have one for lunch and they keep me full all afternoon, which a typical lunch doesn’t usually do. 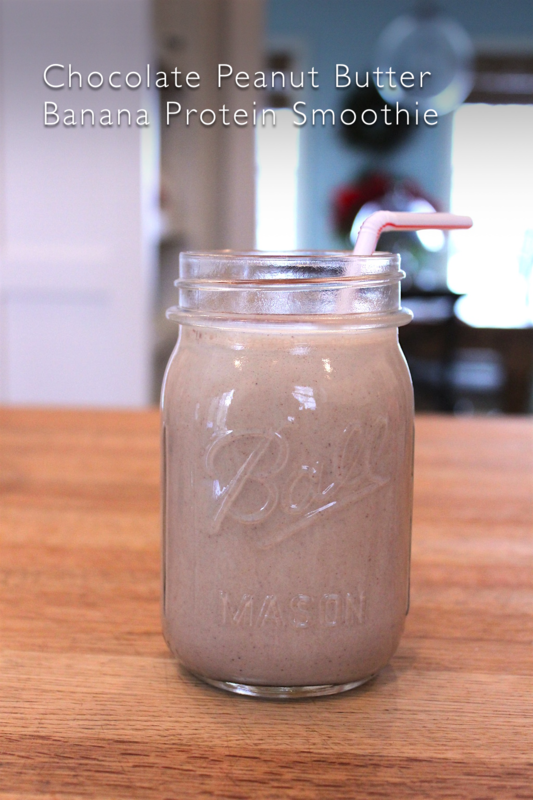 Today I wanted to share one of my favorite smoothies, adapted from this recipe. 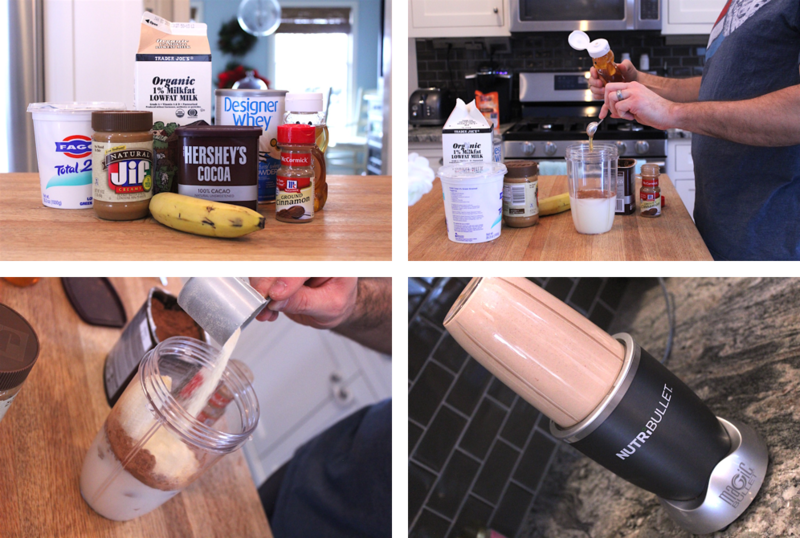 Blend all ingredients in a blender until smooth. Serve over ice if desired.